A healthy relationship with money is key to our emotional and mental well-being. Here are the top money management tips that’ll put you back on track. And would also help in your budget. Over 65% of Americans save little or nothing. If this doesn’t change anytime soon, many Americans are going to struggle financially when they enter retirement. Many people have experienced “money worries” at some stage during their life. But, research shows the connection between poor financial circumstances and the damage caused to the mental wellbeing of people. 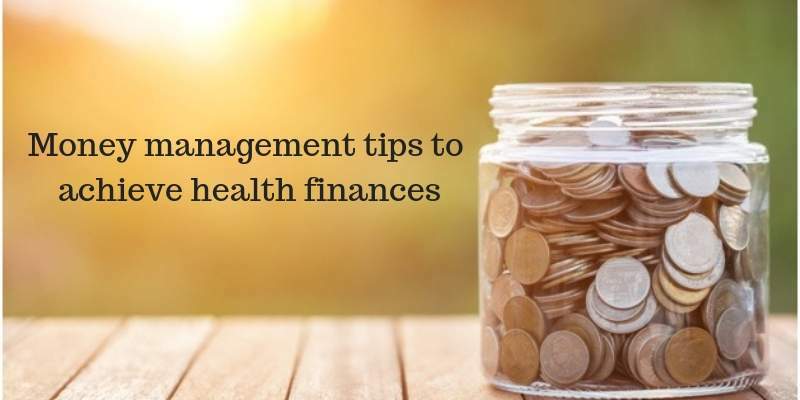 Here are the top money management tips to make sure your bank balance and mental welfare stay healthy. Let’s go! It’s a simple rule you can live by. It doesn’t matter how much or how little you earn — you need to spend less than you make on a monthly basis. If you find you’re over-spending by taking out credit cards and bank loans, you’re entering dangerous territory. This is a sign you need to cut back your spending immediately. Only 32% of Americans have a household budget. You need to count yourself among the number of people who manage their money with a household budget. How do you know how much is going in and out of your bank account every month without a budget? There are several ways to design and manage your budget. Maybe you want to manage it through an app? Or perhaps, you want to have a weekly budget rather than a monthly one? You need to determine what works for you. But, once you’ve started budgeting, you need to stick to it. How can you improve your financial situation if you have outstanding credit cards bills to pay off? The quicker you pay off your debts, the quicker you can get yourself back to financial health. The more money you can afford to put aside during your working life, the better off you’ll be in retirement and old age. Your goal should be to put aside a minimum of 10% of your earnings every month. Open up a savings account in which you can take advantage of the interest you accumulate over your savings. Discover more about savings plan with Money Map Scam. Over 60% of millennials are actually scared of investing in the stock market. Many Americans think investing is for the rich and famous. But, it’s actually open to anyone with spare cash. If you’re young, investing is especially important. By investing just a little bit of your paycheck every month, you could benefit from huge gains over your lifetime. The fear of investments is caused by ignorance and lack of understanding. People don’t know how the stock market functions. Many people wonder what interest rates are. By educating yourself about investments, you can make sure you reap the benefits of investing your money wisely. If you’re struggling to get your head around the complexity of investing, you should consult with a financial advisor. Only 60% of Americans have life insurance which covers your family if you either die or you’re unable to earn a living. It’s important to make sure you have up-to-date insurance. There are many things to consider when it comes to getting life insurance, which is why it’s important to get advice. According to studies, around 60% of Americans don’t have a will or any estate planning. This could have serious consequences for your family’s financial future if something happens to you. If you already have a will, it’s important to revisit it to ensure the information is up to date. And If you die, you want to make sure your dependents get what they are entitled to. If you have any concerns about the terms and conditions of your will, you can consult a lawyer for answers. Are you claiming your income tax deductions and credits? Can you provide evidence of earnings from last year? Nowadays, it’s easy to keep your financial records in electronic form. You don’t have any excuses when it comes to doing your taxes. You can save yourself a lot of time and effort by keeping financial records ordered and up to date. The world of finance and money is complex. You can’t expect to do everything on your own without the support of a professional. You may struggle to find the time to manage your money on a regular basis. How can you possibly determine whether a particular investment is high or low risk alone? By seeking the financial support of an advisor, you can ensure you make the right financial decisions for you and your family. This allows you to manage your money and stay on track with your financial goals. You may wonder what physical activity has to do with money management. Research shows regular exercise relieves stress and improves productivity. If you’re more productive in the workplace, you’re probably going get promoted with a pay raise sooner or later. You’ll be happier, healthier, and financially better off through physical activity. Now you can lose pounds while making dollars! Don’t let your money worries get you down. We know the relationship between money problems and stress. By following our money management tips, you can make sure you stay on top of your mental health and your bank balance at the same time. We have plenty more blog posts about how to live a healthy, happy life. Check out our post on how to improve your personality and looks!